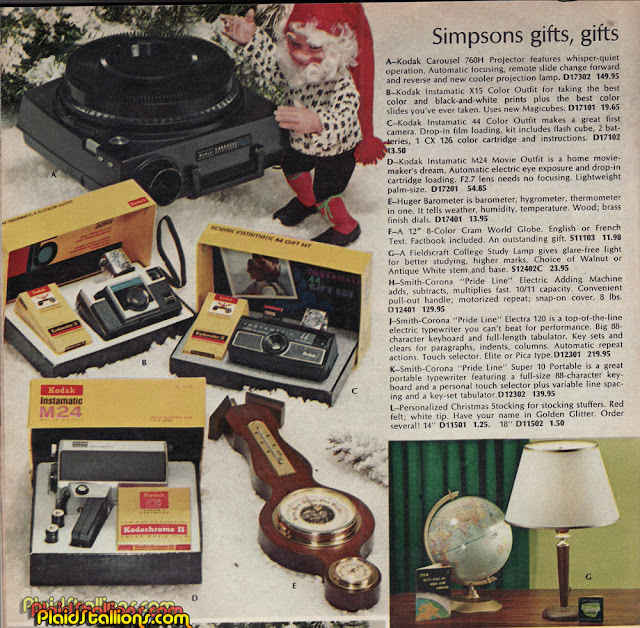 Recently I stumbled upon this Simpson's Christmas Catalog at an antique mall, it was a little pricey and had few toys so I considered not buying it until I noticed something odd. 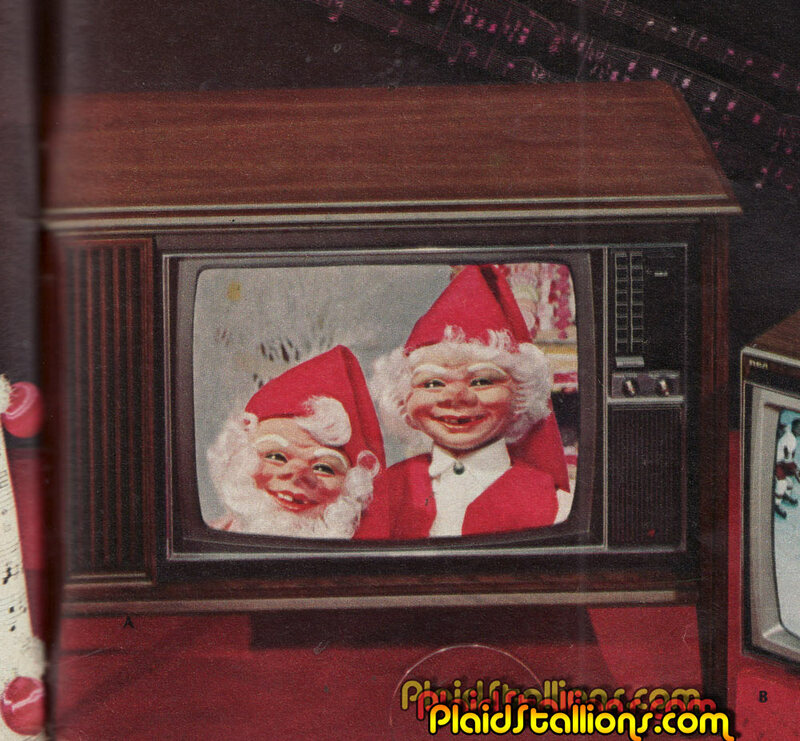 There was a theme going on as many of the pages were populated by these two creepy elves. It was so weird, I had to purchase it and share, more after the jump. I know this is an attempt to be cute but there is something downright sinister about these two, the backfire makes the catalog a little haunting. 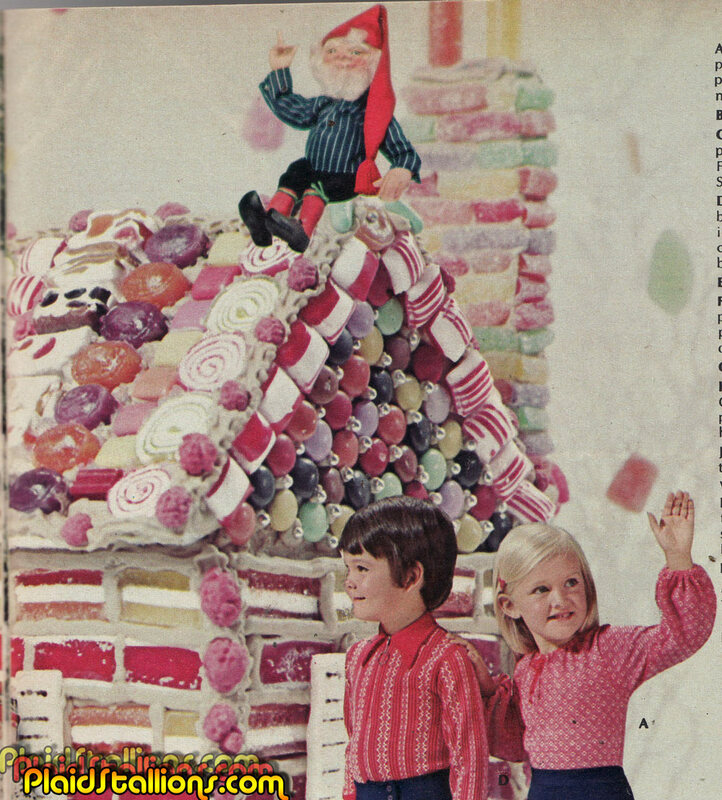 Oh my God, now he's luring kids into his candy house, don't you people read? Yeah, like i'm gonna eat something this guy offers me, I'd wake up stuffed in a jack in the box. I had a Twilight Zone moment as I mistook Simpson catalogue logo for "The Simpsons"TV show logo(Theyre practically the same)then went on to think"Wheres the Simpsons? "and "Wait...theres no Simpsons in 1971! "All told,the Elves wouldn't be so bad if they had kind eyes,the squinty,shifty look on their face makes them more akin to Gremlins then Santas helpers.Has there been a horror movie about killer elves from the North Pole?Maybe Asylum can crank out a theatrical release by Christmas Eve! 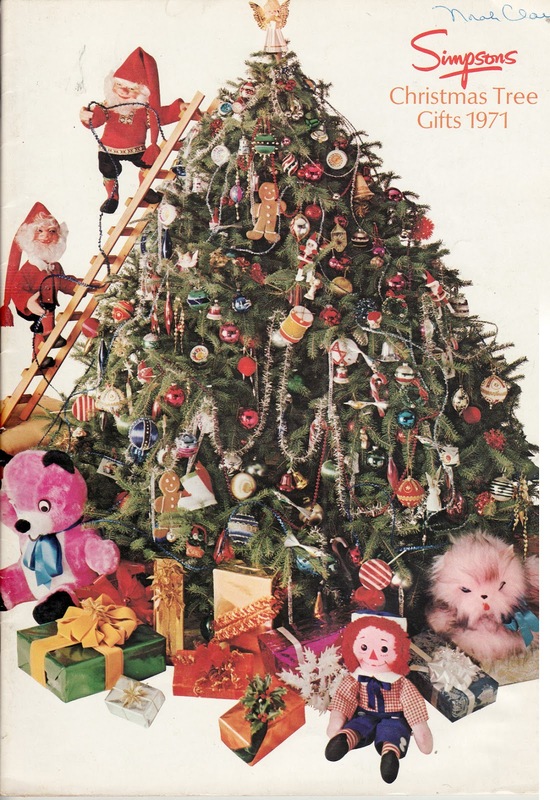 And what IS that crawling out from under the Christmas tree on the right side of the cover??!! 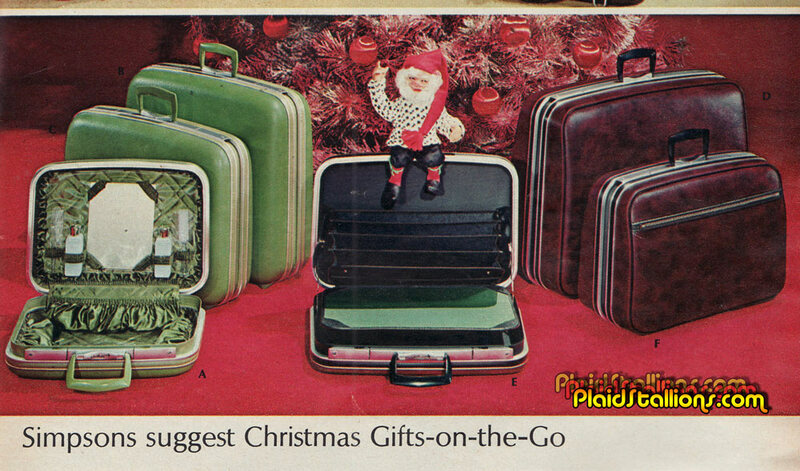 Is it bad that my first thought on seeing the pictures was to want to say that there were no Elves in the photos and try and make the Plaids think they bought a haunted Catalogue? "Yeah, like i'm gonna eat something this guy offers me, I'd wake up stuffed in a jack in the box." 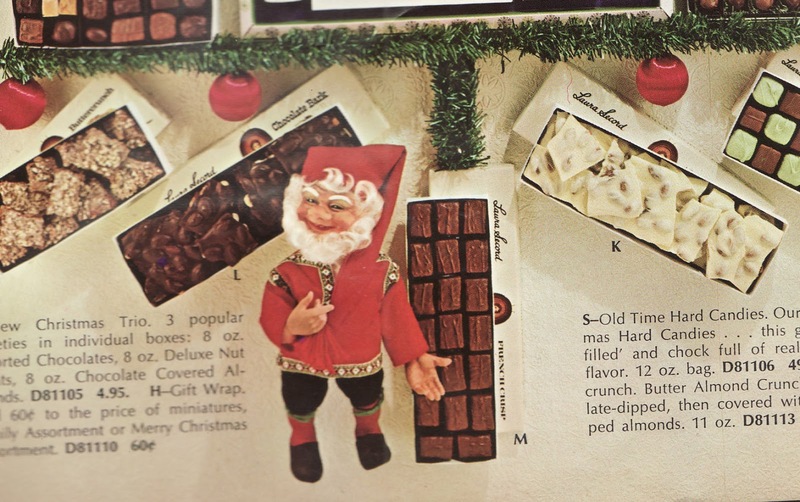 This is literally everything that was fantastic and wrong with the 70s all at once. Tree decorations had become excessive to the point of becoming a self parody. Even the toys were getting that tacky vibe to them. A hot pink teddy? That... whatever it is lurking under the far right of the tree? Toy designers were failing as hard as the catalog team. 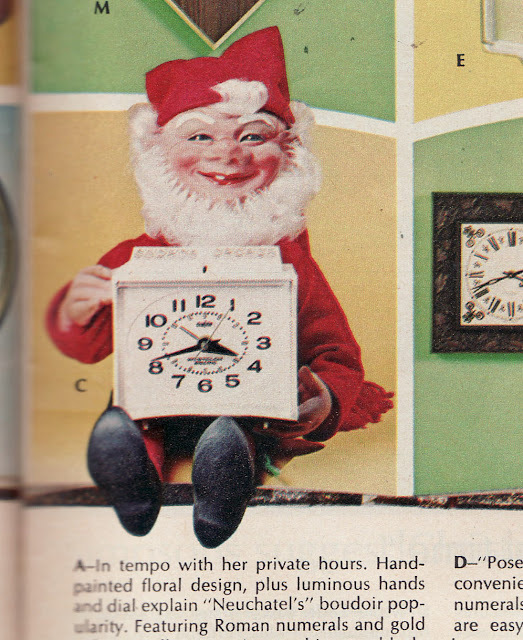 No wonder poor old Raggedy Andy has a "help. get me out of here. please." expression. ...and those leering terrifying little elves. Hauntedheadful was thinking Twilight Zone, this Anon says they're even worse than that. Those two are ready for an episode of Tales From The Dark Side. "going somewhere"? Serious unintentional creepiness. But the merchandise... <3 Even the copy is wonderful. 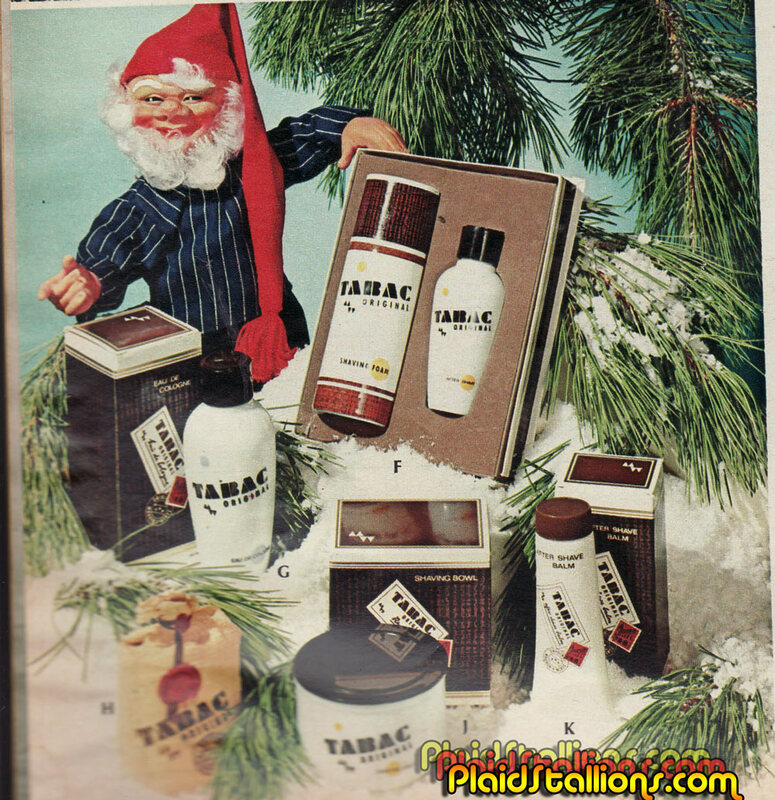 Tabac must be some kind of miracle substance. It comes in a spray can, bottle, tube, and jar. It's still being made, too! Gets better than average ratings, surprisingly. Color me surprised. Looks like something Ron Burgundy would have in his medicine cabinet. 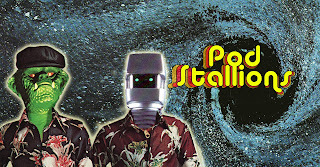 The cover is unusual too. How often do you see Raggedy Andy without Raggedy Ann?